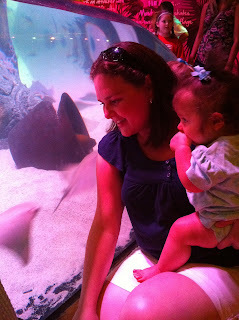 My friend Nancy and her daughter Jennifer and their newborn, Allison met us at the aquarium a little later. 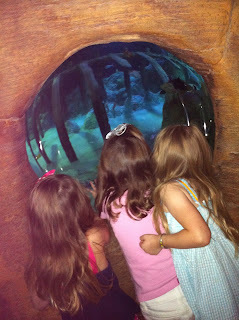 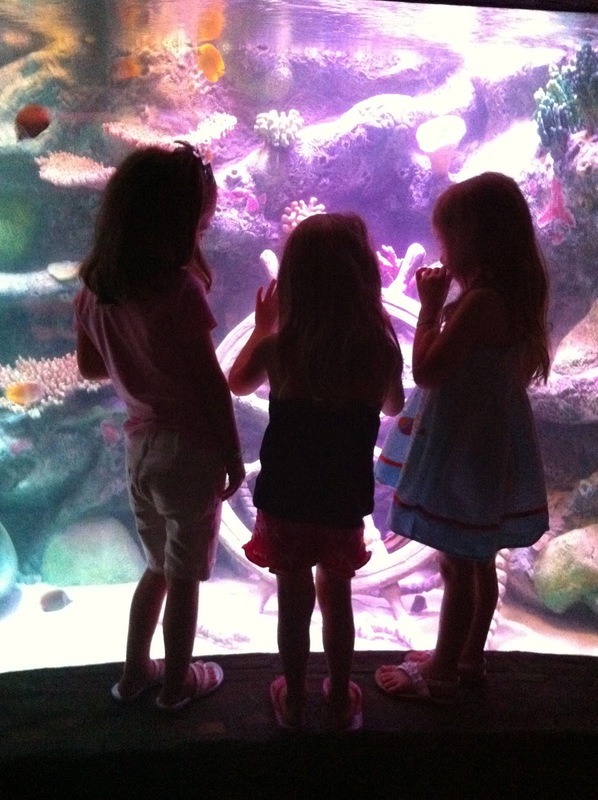 The three big girls enjoyed seeing it together. Here is part of our entourage with Nancy and baby Allison and Kerri pushing Jill in the stroller, then the three girls walked around together and I held Jena. 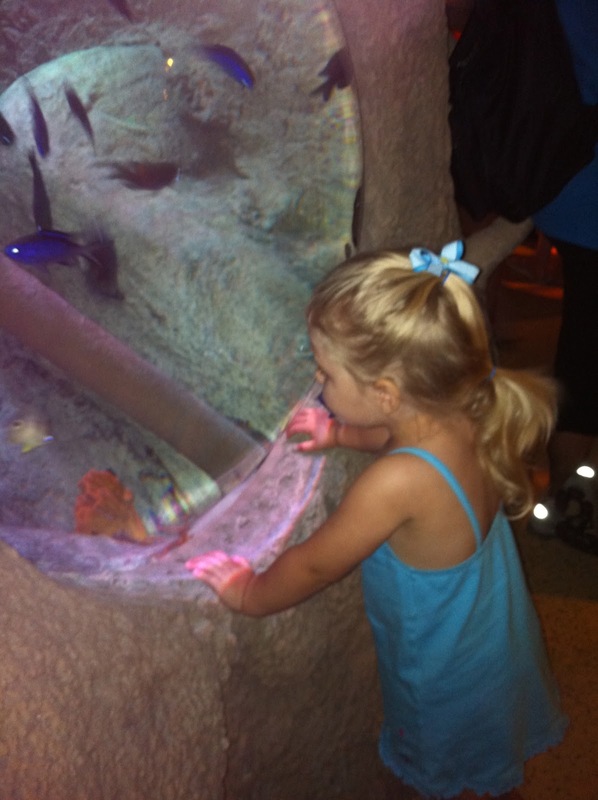 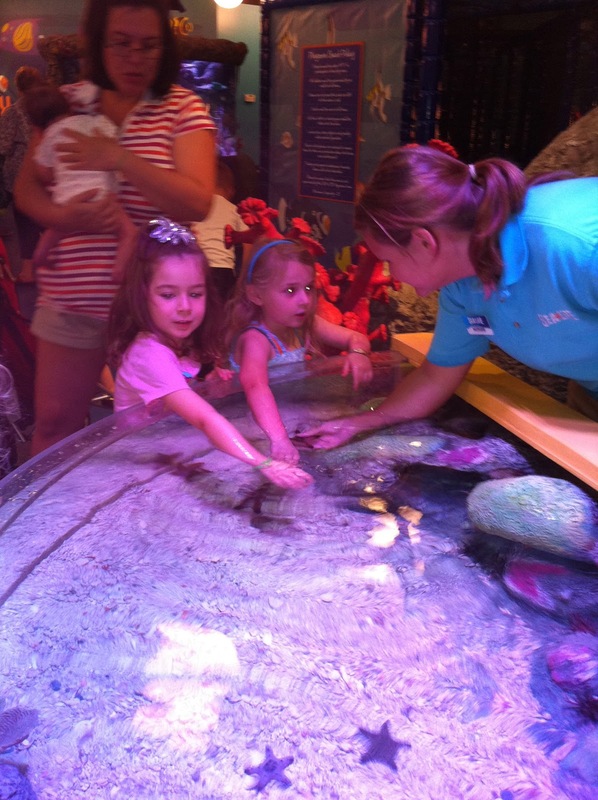 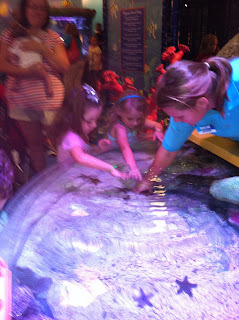 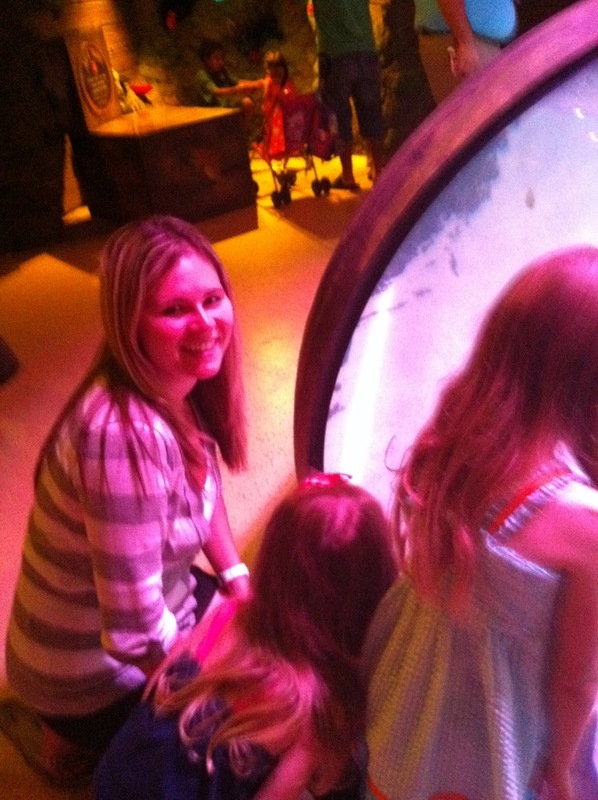 The touch tank at the end was a big hit! 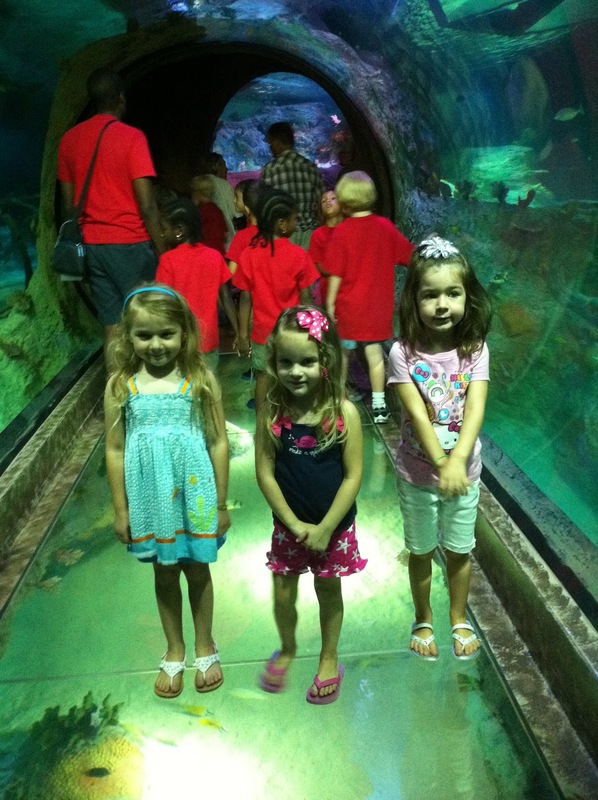 A very fun outing for all the girls but boy their mommas were tired by the end!